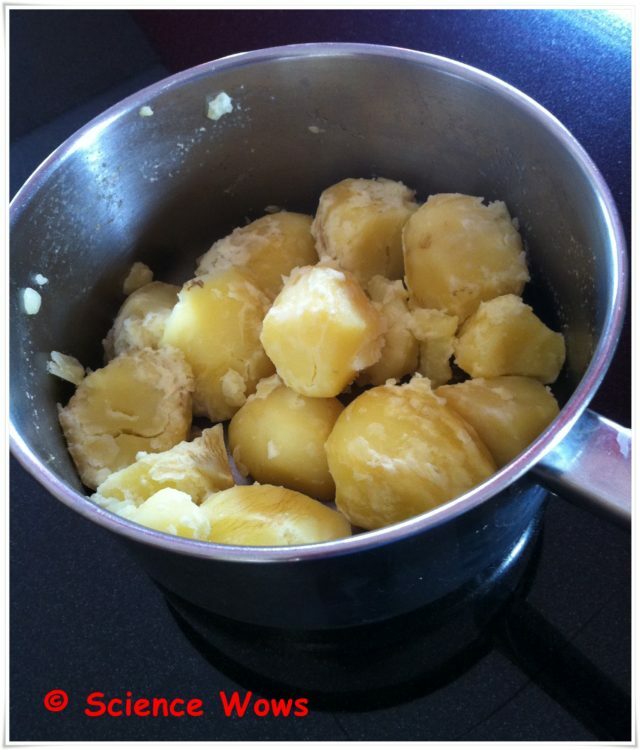 Vegetables in baking: Part Three – proof in the pudding! I had great fun preparing for the third, and final part of this blog series. It is all well and good discussing the merits, scientific and otherwise, of using vegetables in your baking, but as a truly dedicated scientist I realised a little R & D was also required. Time to don the apron and turn on the oven, but which recipes to choose? I am very keen to try Dee’s Beetroot Chocolate Cake from which these blogs were inspired but I wanted to introduce some other vegetables for this blog. When I posed the questioned through social media I was delighted with the number and variety of recipes recommended. I needed to choose my parameters and narrow down my study field. Most people are familiar with the carrot cake and enjoy it as a bone fida cake, so carrots were already out there. This, in my opinion, excluded the parsnip too and many other vegetables that are known to be high in sugar content. Someone mentioned the potato and it seemed like a very good starting point to me… its high starch content makes it an obvious substitute for flour in baking, but in my head it still belonged on my dinner plate along with bacon and cabbage. 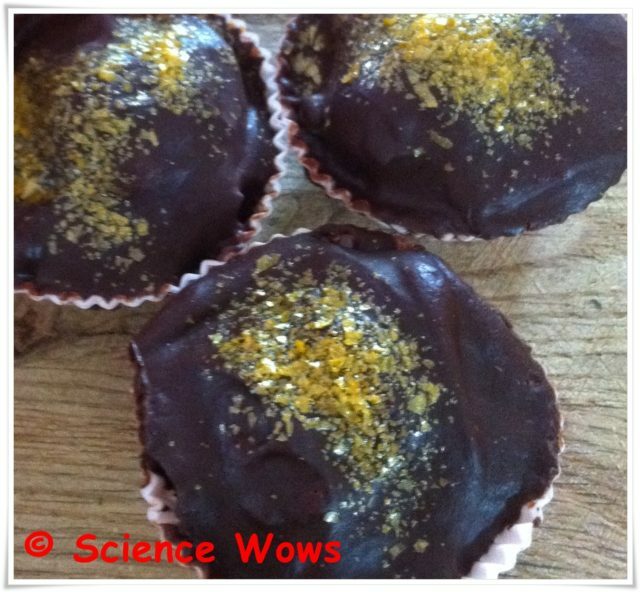 It was easy to find a recipe using potatoes in cakes and I chose to try some mini chocolate cupcakes. My husband said if I managed to bake a tasty cake containing green leafy vegetables it would definitely convince him. I had to admit he made a good point. Green leafy vegetables are not known for their sweetness and definitely not what I would be reaching for when creating a sweet treat. Not one to shy away from the challenge I decided that a spinach cake was next on the list. I liked these choices, but for me there was one vegetable missing. My ultimately convincer would be a tasty cake containing mushrooms! (I know, I know these are not technically speaking vegetables, but if you refer back to the first blog in this series, I did say I would be including it too!) . 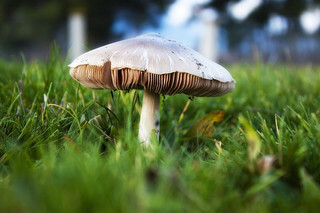 I do love the taste of mushrooms but, try as I might, I could not imagine the taste of a sweet mushroom cake. My brain just could not compute that one… or else I felt a bit queasy every time I tried too. So mushroom cake just had to go on the list. That was my three vegetables picked, so I got down to some baking… with a few little chefs eager to help! Once the baking was finished I had plenty of taste testers to give their verdict, friends, neighbours… and especially family! Along with the recipes that I share below, I have also included the feedback and opinions I received. At the end of this blog I share some tips and advice suggested by others along with some other vegetable cakes that I didn’t get around to trying yet. 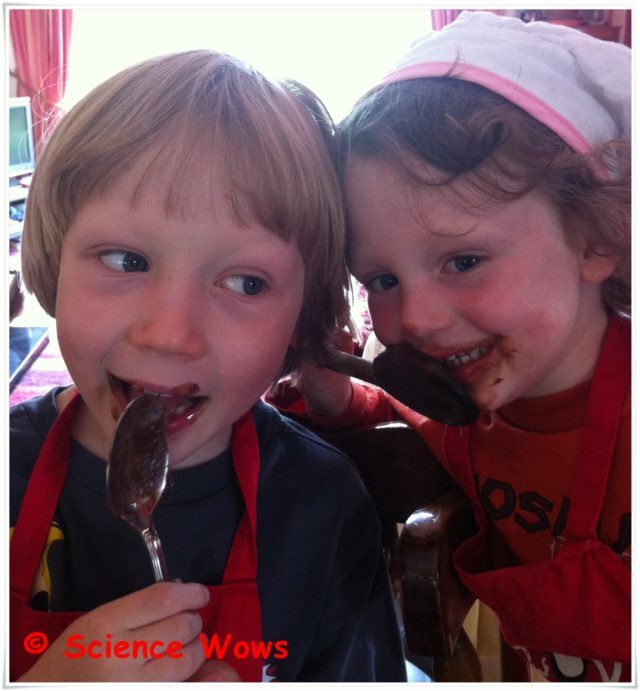 My most enthusiastic Taste Testers…. Preheat the oven to 190oC and place mini cupcake liners in cupcake tray. Beat the butter and sugar together until light in colour. While still mixing add the egg, vanilla and mashed potato and beat until smooth. Sift the flour, baking powder and salt into a separate bowl and then add to the butter mixture. Spoon batter into miffin cups, filling each about half full. Allow cupcakes to cool completely, in the tray, before adding the ganache. To prepare the ganache, warm the cream and butter over a low heat until just below simmer. break the chocolate into small pieces in a heat proof bowl. Pour the heated cream/butter mixture over the chocolate and allow to leave for one minute to allow the chocolate to melt. Whisk until smooth and pour over the cupcakes. Add desired sprinkles or toppings of using. … with a little help from these! These mini cupcakes turned out well. The potato gave them a nice texture but there was no taste of the vegetable at all. No one was able to guess the mystery vegetable ingredient! Although I liked these cupcakes and they kids did too, giving them a six out of ten, I felt that the ganache was a bit too strong for my liking and some others agreed. If doing this one again I would maybe change the dark chocolate for milk or change the topping entirely. The cupcakes taste good on their own, light and moist too. I thought I would find it difficult to source a Spinach cake recipe but it turns out it is a traditional Turkish cake. I based this cake on this original recipe. 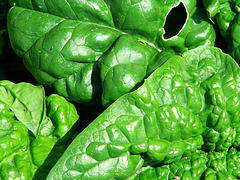 Wash the spinach and remove any large stalks. Add spinach, olive oil, vanilla and lemon juice to bowl or blender and blend until pureed. In a separate bowl beat the eggs and sugar together until light and creamy. Add the spinach puree to the beated egg and sugar and mix well. Sift the flour, baking powder and salt into another bowl, make a well in the centre and add the egg/spinach mix. Pour into a greased pyrex dish or into prepared cupcake liners – I made one loaf (5 X 9 inch) and six cupcakes from this mixture. Bake at 180oC for 30 minutes (20 minutes for cupcakes). Allow to cool before removing from baking tin. Tastes good served with whipped cream! 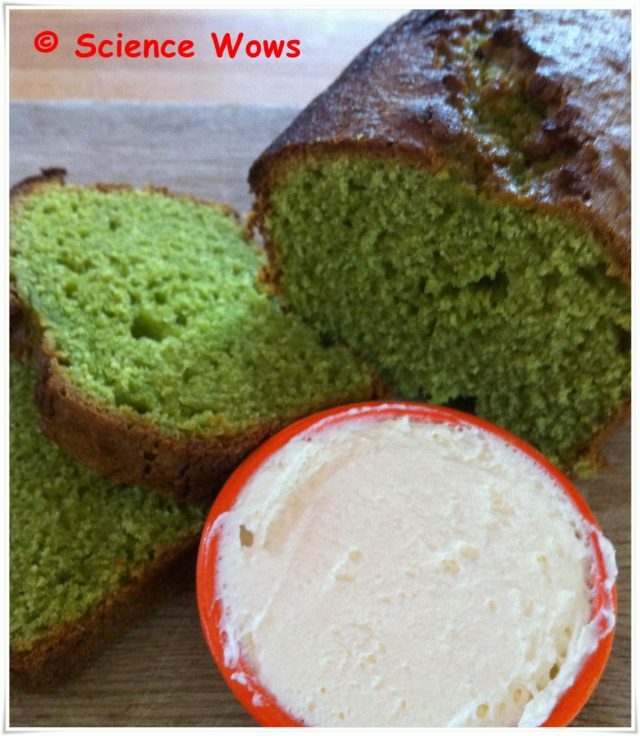 Spinach cake … yep it was GREEN! This one was a BIG hit!!! I called it “Kermit Cake” when offering it to the kids and they could not guess that it was made of Spinach. More importantly, it did not put them off when they found out! My seven year old wouldn’t usually eat spinach if his life depended on it but he could not get enough of this cake. All three kids gave it ten out of ten and it was popular with adults too. One person guessed the mystery vegetable ingredient, which surprised me as I could not detect it at all! I would definitely bake this cake again! Next up was the mushroom cake, I had my doubts about this one and originally considered adapting a recipe for rhubarb muffins but then Dee pointed me to this recipe she had found. Preheat the oven to 180oC and grease and line 20cm springform cake tin. Place butter and sugar in a bowl and beat until light and pale. Add one egg at a time and mix well between additions. Add the flour and milk, in small amounts, keeping the mixer on a low setting, and ensure each addition is well mixed in before adding the next (i.e. add flour, then mix, then milk, mix, flour again etc). Add the mushrooms and mix well. Add the chopped walnuts and honey and mix until all ingredients are thoroughly combined. Pour batter into prepared tin and tap base to remove any air bubbles. Pop in the oven and bake for one hour. Turn off the oven and allow cake to cool gradually with oven door ajar. Once cake is cool remove from baking tin. 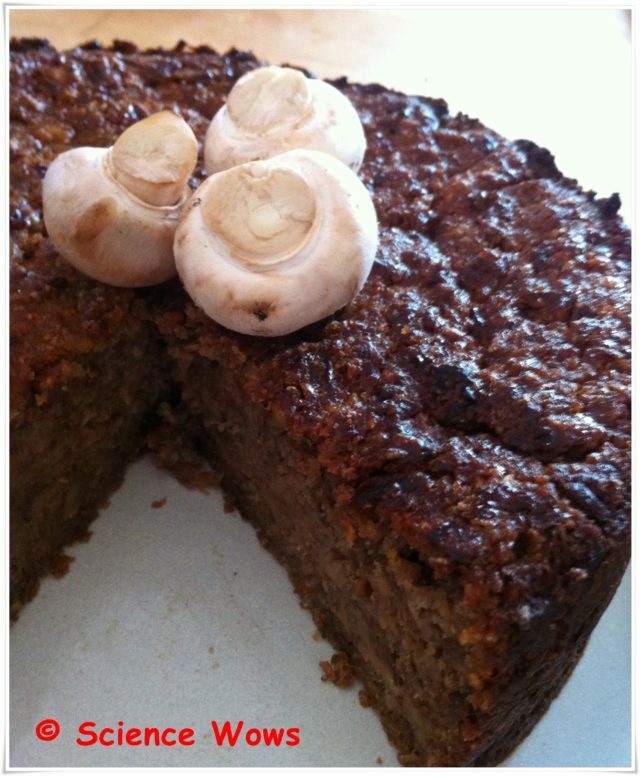 Mushroom Cake… very moist, very heavy and tasted of….mushrooms! This was a very dense, moist cake and despite me leaving it in the oven for extra time, there was no denying the taste of mushrooms! Not a cake I would be reaching for again and the feedback overall was similar. The mushroom taste was too strong and put most people off. Disappointing! I let this one mull around in my head for a few days but then decided to give it one more try. This time I would go back to my original idea and try to incorporate mushrooms in place of rhubarb in my favourite breakfast muffin recipe. The original recipe comes from Nigella Lawson’s wonderful book Feasts but I have modified it quite a bit at this stage. Topping: mix 2 tbsp on Demerara sugar with 1 tsp on ground cinnamon. Preheat the oven to 180oC and place liners in the muffin tray. In one bowl mix the sugar, oil, egg, vanilla and buttermilk. Stir in the grated mushroom and chopped walnuts. 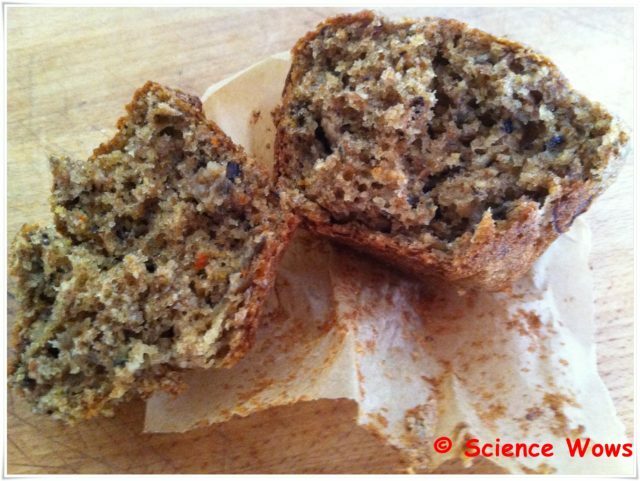 Add the wholemeal and plain flour, milled seeds, baking powder and bread soda. Fold these into the mixture with the minimum amount of mixing. Spoon into prepared muffin liners and sprinkles with the cinnamon and sugar mixture. Bake in the middle of the oven for 20 minutes. This time it was a winner. These muffins were as delicious (or almost) as their rhubarb cousins but with no taste at all of mushroom! The texture and moistness were just right. They were a hit with anyone who tried them and no one guessed the mystery ingredient this time! As I mentioned, there were a lot more vegetable cakes I could have tried. I did actually also try a Chocolate and Aubergine Cake (gluten free) that Aedin from FreeFromGuru had previously shared with me and brought the cake to a gluten free barbecue where it proved very popular… again no taste of aubergine. Unfortunately I deleted the photos of the cake but you can check out the recipe here. Courgette cake with Lime Curd and Pistachio and this Chocolate Courgette Cake. A good tip from Catriona at Wholseome Ireland is to squeeze out some of the moisture from the courgettes before adding to the cake batter! Tomatoes were also suggested to me when I was looking for recipes…I plan to try this one with the children soon…Green tomato buns with Lemon Curd topping. Sweet potatoes are a popular choice for baking also, I like the look of this recipe from Wholesome Ireland, and parsnips were also a popular suggestion…this recipe looks good… Parsnip Spice Cake with Ginger Cream Topping. I really enjoyed trying out the recipes for this blog …and tasting them. The feedback from all my taste testers was very promising. This experiment has really changed the way I think about vegetables and YES I am converted to the concept of using vegetables in my baking. 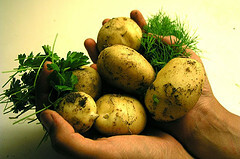 Now I am reviewing my favourite recipes, wondering how I can incorporate various veggies. 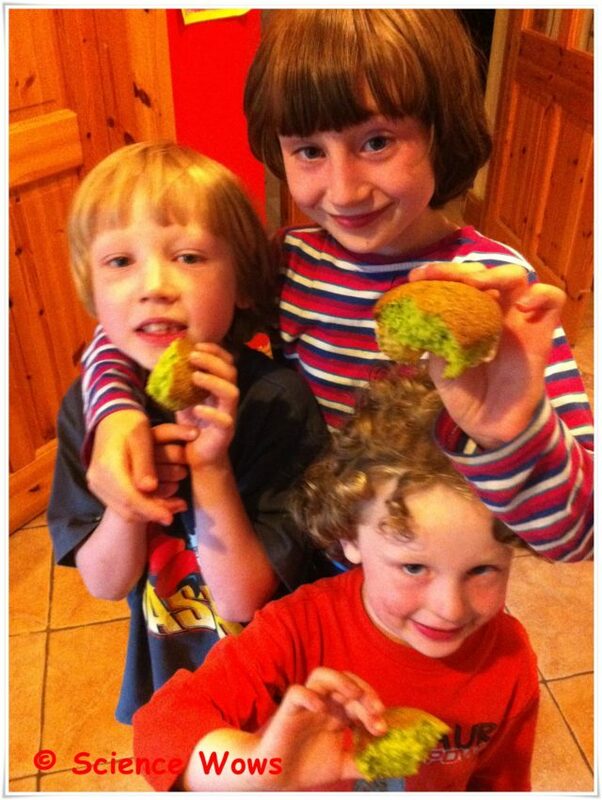 my children happily eating a spinach cake! surprising myself with a cake that contained mushrooms… and tasted GOOD! the enthusiasm and feedback that everyone gave in response to the idea of vegetables in baking! I hope you have enjoyed this series on vegetables in baking and would consider giving it a go. If you have any comments or suggestions, or if you have some recipes to share please drop me a line in the comments below… I would love to hear what you think!